Each of these lovely, vintage rose images are in unique, pretty colors: yellow, red, and pink. 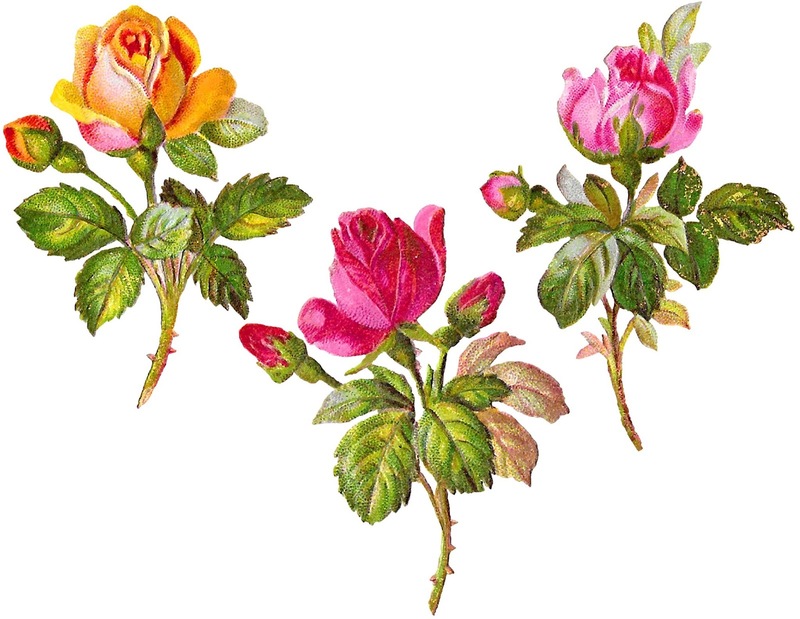 Offered today is a digital clipart pack download of 3 vintage rose clipart images. These 3 rose images are perfect for shabby chic crafting projects! The blooming roses and the rose buds are so pretty! There is also a distressed quality to these digital flowers that makes them more charming. Click the link below to download the rose images in both .jpg and .png format.